Your feline friends love catnip and you should be happy to making it available among the plants in your home, because it is rich in vitamins and, among the other properties, can induce vomiting, solving the thorny problem of hairballs that might clog the intestine of the cat, especially during the changeover summer period. The scientific name is Nepeta Cataria and it’s also called catswort or catmint (and many other ways), for the characteristic aroma similar to that of common mint. Some cats seem to be completely insensitive to the charm of this plant, but most are greedy to the point that it’s hard to keep up with the purchase of new ones. To overcome this problem you can try to grow it yourself. 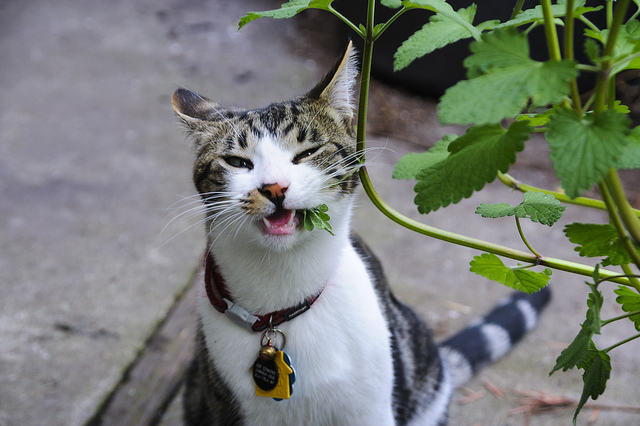 It is not necessary to have the classic “green thumb” to grow catnip at home. Cultivate this plant is decidedly simple, because it takes root quickly and tends to be infesting, or else it reproduces quickly and resists most varied climates. If you do not have a garden, it can be easily planted in a pot to keep on a balcony. The hardest part is in fact to keep it away from your cat as long as it grows. Let’s see how. 1. 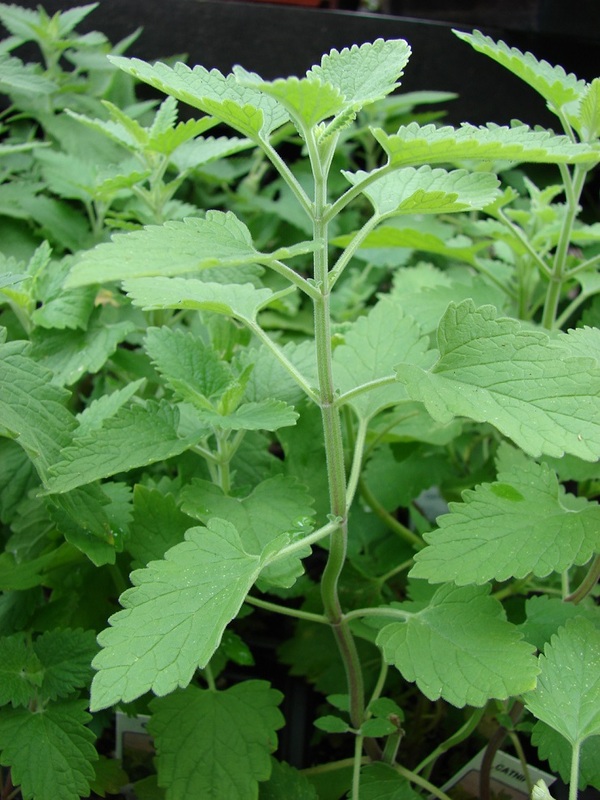 Get a pot with edges that are not too high: catnip does not require large sections of land for which a jar with a low edge, a bowl, or even a saucer are more than sufficient. The amount of grass produced depends substantially on the sowing surface and therefore the diameter of the container. 2. Fill with clean soil and equalize the level. 3. Move bit the soil on the surface and put the seeds evenly, trying to exploit all the space available. 4. Re-pack the whole thing with slight pressure of the hand and add a bit of water. 5. Put the pot outside on the balcony or in another place where it can receive a lot of light, but (most important) that is beyond the reach of the cat. 6. Water lightly every day to keep the soil moist and during the summer pay attention to protect catmint from direct sunlight. 7. The first blades of grass should begin to sprout in a few days. The growth is quite rapid and can reach 40-50 centimeters (15-18 inches). But you don’t have to need much before making the plant at disposal of your cat: when it has reached a height of 5 centimeters (2 inches), blades of grass will have a hard consistency (like hair brush) and you can put the pot available to your cat. Leave it in a place where he can reach it easily, preferring where he eats or drinks, if possible. He will decide when eat it. 8. Catmint grown in a medium sized pot typically lasts three weeks, but it depends on how many cats you have and how they are greedy. In any case, when it will be consumed completely, you should proceed arranging a new sowing. The ideal is to start sowing in a second pot as soon as the first is placed at the disposal of your cat, so that it never remains without catnip. Nepeta Cataria is liable to suffer from mildew. Pay attention to keeping it pruned and keep the center of the plant open so air can circulate. The other problem you can have is from whiteflies or spider mites (to avoid this issue, try Neem oil). The last (and biggest) problem you can experience growing this plant, is to keep it away from your cat (or neighborhood ones), as most of them will literally assault it! So be sure to “hide” it, at least during the growing process. I have a problem with catnips, I live on the equator region, so i have full sunlight everyday for the whole year. I have been planting catnip for almost 2 months now. But apparently it only grew about 1cm high, and only 5 teeny leaves ever sprouts from it. After that, the plant just wither away and dry up. I don’t know what went wrong. Water it once a day. I thought when it germinate it require quite a volume of water, so i water it until i’m sure the whole soil is wet enough. I’m not sure what i’ve done wrong. As i read, most of the website will tell you how easy for it to grow. How is the soil? Is it fresh? (etter if rich, well-drained soil. It tolerates most soil conditions – pH 6.1 to 7.8). I use soil which i bought from the local nursery. If i am bot mistaken, it is a mixture of red and black soil, with some composed vegetation.